who lives and reigns, one God, for ever and ever. Amen. Trinity Sunday is, by definition, the Sunday immediately following Pentecost Sunday. Therefore the practice of the old lectionary from The Book of Worship for Church and Home (1965), whereby separate sets of readings for Trinity Sunday and the First Sunday after Pentecost exist, is odd. Trinity Sunday is unique on the calendar of Western Christianity. It is the only feast devoted to a doctrine, without an accompanying event. Trinity Sunday is also one of the seven principal feasts, according to The Book of Common Prayer (1979). The other principal feasts are Easter Day, Ascension Day, Pentecost, All Saints’ Day, Christmas Day, and the Epiphany. I approach the doctrine of the Holy Trinity with great caution. St. Paul the Apostle, writing in Greek in Romans 11:33, referred to God’s inscrutable judgments and unsearchable ways (The Revised English Bible, 1989) or unsearchable judgments and inscrutable ways (The New Revised Standard Version, 1989). The doctrine of the Holy Trinity is, despite all orthodox statements (from Nicaea to Chalcedon), unsearchable and inscrutable. I accept those orthodox statements while recognizing the existence of logical inconsistencies in orthodox Trinitarian theology. 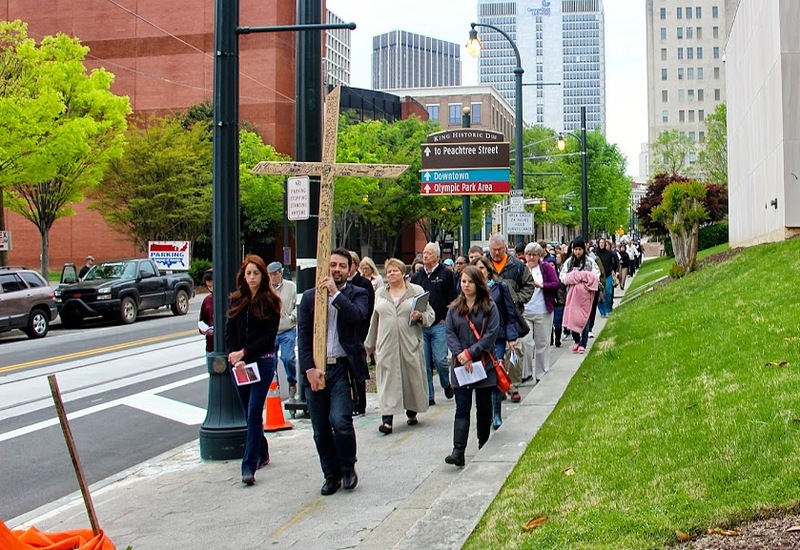 The procession of the Holy Spirit is especially challenging. If the Father, the Son, and the Holy Spirit are co-eternal, how can the Spirit proceed from the Father and, if one is Roman Catholic, the Son also? I also understand that a cluster of heresies has resulted from pious attempts to explain the Holy Trinity. A few of these are Arianism, Apollinarianism, and Adoptionism. I embrace the mystery. The nature of God is what it is; no mere mortal can understand it fully. God is also both transcendent and imminent. How does that work? Furthermore, God is, for lack of better words, bigger than our agendas. The language of orthodox Trinitarian theology is prose poetry. That is appropriate, for metaphors are fit for thinking, speaking, and writing of God. We must say something, even though we will get some details wrong. May we grasp that we are using prose poetry, and embrace the Trinitarian mystery. Meaning of Heb. uncertain; variously translated: “I Am That I Am”; “I Am Who I Am”; “I Will Be What I Will Be”; etc. In the culture of Moses the meaning was plain; since many people believed that to know someone’s name was to have power over him or her, not knowing God’s name told them that they had no power over God. Were I hungry, I would not tell you, mine being the world and all it holds. I, like so many Protestants, grew up learning false notions about Judaism in general and late Second Temple Judaism in particular. I learned that Judaism was a legalistic religion, one concerned with rules, not grace. This was an old stereotype, one which I have heard from adults in my Sunday School class recently. If you love me, keep my commandments…. God is the strength of the righteous, who confess their sins and trust in divine mercy. They also attempt to treat their fellow human beings respectfully, according to the background ethics of the Law of Moses. Culturally specific examples of timeless principles come and go; principles remain. Reading the Book of Psalms according to the 30-day, 60-segment plan in The Book of Common Prayer (1979) helps me to recognize certain similarities and differences in adjacent texts. By reading Psalms 50 and 51 together, for example, I notice the similarity of the need for confession of sins and their repentance–literally, turning around. The difference is the emphasis in each text. In Psalm 50 the call from God is for collective confession and repentance, but the confession of sin in Psalm 51 is individual. May we who seek to follow God remember that sin, punishment, confession, and repentance come in two varieties: collective and individual. If we must overcome any cultural barriers to this understanding, may we do so, by grace, the only way we can succeed in that purpose. Too often we (especially those with a Protestant upbringing) focus on individual sins to the minimization or exclusion of collective responsibility before God. That imbalance is itself sinful. It is also more difficult to recognize, confront, and correct. That reality does not let us off the hook, however. melt me down, you will find no impurity in me. Moses had been a fugitive from Egyptian justice from Exodus 2. Egyptian juris prudence frowned upon killing taskmasters in charge of slaves (2:11-15). Moses was safely distant from Egypt and hopefully happily married when God called him to return to Egypt, to participate in the liberation of the Hebrews. In reply to the request for a name, God provided a non-name, indicating the absence of human control over the divine. Throughout the long narrative of the Bible prophets were frequently inconvenient to people in authority. There were false prophets who agreed with the monarchs who favored them, but prophets of God were often in the faces of kings. St. John the Baptist, standing in this tradition, ran afoul of religious authorities and Herod Antipas. Jesus, greater than the prophets, had many confrontations with religious authorities and proved to be a better debater than any of them. God was doing a new thing via Jesus, and religious authorities, wedded to their traditions and collaborating with the Roman Empire, found it threatening. Tradition itself is not bad; neither is it inherently good. Tradition is simply that which one generation passes down to another. The best question to ask in this context is the one which evaluates any given tradition on its merits. May we avoid becoming so attached to our traditions that we oppose the work of God, who is beyond our control. and understand why he has done it. will take refuge in him. and all the honest will praise him. We read two different accounts of how God’s victory and glory become widespread knowledge. In Ezekiel 32:1-10 (which I recommend that one read in the vivid language of TANAKH: The Holy Scriptures, 1985) God will strike down the Pharaoh of Egypt just a few years after the destruction of the first Temple at Jerusalem. God will do this in the open, in plain sight, the text indicates. The Kingdom of Judah may have fallen, but no power has defeated–or can conquer–Yahweh. And they were all struck with awe at the greatness of God. Much of human religion, regardless of labels, consists of attempts to control God. In Exodus 3:13-15 God’s insistence on providing a non-name, “Ehyeh-Asher-Ehyeh,” testifies to the divine refusal even to seem controllable. That non-name can mean, among other things, “I Am Who I Am” and “I Will Be What I Will Be.” God, being uncontrollable, is also unconquerable. This should not surprise anyone. It should, however, inspire one to revere God and be awestruck. he will rule over nations. Tradition attributes authorship of Psalm 110 to David. One cannot be certain of the veracity of that claim, given the tendency of many people from Biblical times to attribute authorship to the famous dead regardless of who actually wrote a given text. That issue is a minor point, however. A Hebrew monarch has won a military victory, hence the content and tone of the text. One can read the poem and identify passages germane to both Moses and Jesus, as well as those irrelevant to each person. We read of Moses smiting in Exodus, for example. And Jesus, like the king in the Psalm, sits enthroned at the right hand of Yahweh. One might also compare Moses and Jesus, as the author of the Gospel of Matthew did frequently. Both men were, for example, far more than they appeared to be; they were deliverers and princes, although not of the same variety. No, Jesus was (and remains) far greater than Moses, for our Lord and Savior’s “I am” (John 9:58) carries the same meaning as “I AM WHO I AM” (Exodus 3:14). Jesus was the human incarnation of the deity who spoke to Moses. upon a cross, on Calv’ry’s hill. Almighty God, your Son Jesus Christ is the way, the truth, and the life. Blasphemy is a capital crime in the Law of Moses, which frowns upon perjury. In fact, the penalty for perjury is whatever fate the falsely accused suffered or would have suffered. So, according to the Law of Moses, the authorities stoned the wrong man in Acts 7. 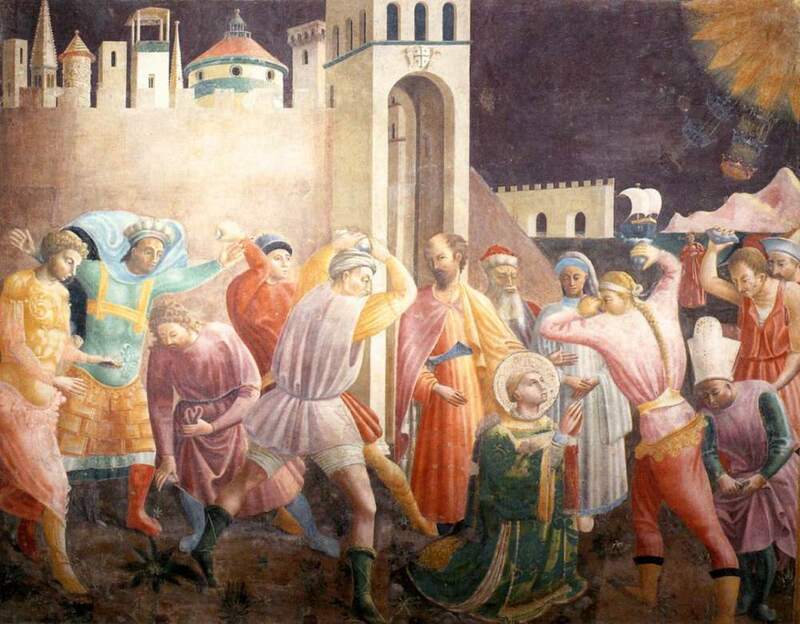 The stoning of St. Stephen, the first Christian martyr, is just one of several accounts of violence, attempted and otherwise, of which we read in these lections. That kind of violence–done in the name of God by heirs of Abraham (physically or spiritually or both), members of a nation God has freed more than once–is always unbecoming. To disagree with a person is one thing, but to seek to kill him or her because of that difference is quite another. It constitutes an attempt to prove one’s righteousness by sinful means. Thus such an act defines as a lie that which the perpetrator seeks to affirm. I, as a Christian, follow one who died for several reasons, among them the motivation I just mentioned. Thus I am especially aware of the perfidy of such violence, which, unfortunately, continues. Christians in certain Islamic countries are subject to charges of blasphemy then to execution. Honor killings continue to occur around the world. They seem to attract the most attention in the Western press when immigrants commit them in Western countries, but they happen daily, often without the press noticing them. I am also aware of the long, shameful history of “Christian” violence against Jews. Ritual washing of hands, for example, contributed to greater cleanliness among European Jews relative to other populations on the continent and therefore helped to reduce their vulnerability to the Black Death in the 1300s. Many fearful, Anti-Semitic Gentiles blamed Jews for the plague and attacked them. God, please save us from your alleged followers! May mutual love and respect prevail. And, when we disagree with someone whose presence threatens our notions of our own righteousness, may we refrain from violence. Even if the other person is wrong, partially or entirely, that does not justify killing or attempting to kill an innocent person. and lead us to safety through the valleys of death. Meaning of Heb. uncertain; variously translated: ”I Am That I Am”; “I Am Who I Am”; “I Will Be What I Will Be”; etc. “Ehyeh,” or “I Will Be,” is not a name that says much. It denies opportunities to attempt to have power over God and preserves mystery while indicating how to learn about God. This God is named as the power to create, the one who causes to be. This God is the one who will be present in faithful ways to make possible what is not otherwise possible. This God is the very power of newness that will make available new life for Israel outside the deathliness of Egypt. The politics of Exodus 2 and 3 is that of liberation of the oppressed from their oppressors. God, these texts tell us, will free the Hebrews from the tyranny of the Pharaoh. Yet I read difficult politics–that of submission to authority, regardless of its moral nature–in 1 Peter 2:13-17. The next pericope is more chilling, for it tells slaves to obey their masters. There have been different forms of slavery over the course of time, of course, but I propose that this, for the point I am making today, is a distinction without a difference; no form of human slavery is morally acceptable. 1 Peter comes from a time when many Christians were attempting to prove that they did not constitute a threat to the Roman Empire, which had executed the founder of their religion via crucifixion. And many Christians thought that Jesus might return soon, so social reform or revolution was not a priority for some. 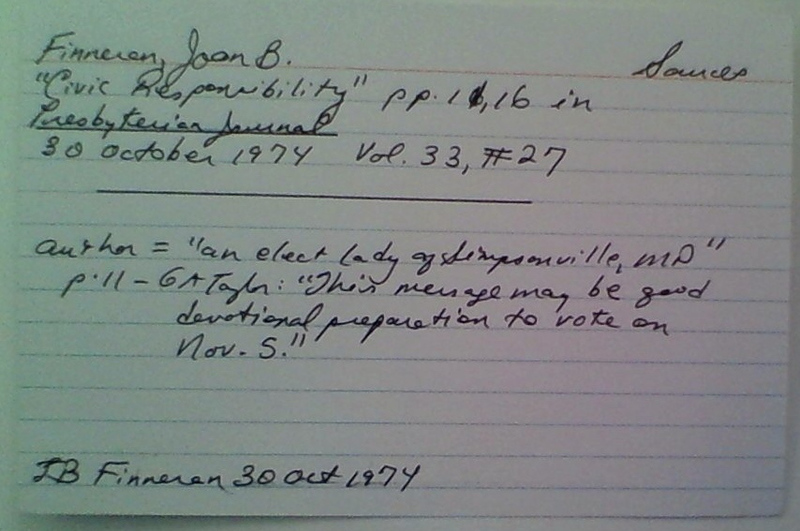 an elect lady of Simpsonville, MD. When a Herod or a Hitler comes into power, we must thereby assume this is the Lord’s plan; He will use even such as these to put His total plan into effect for the good of His people here on earth. God is in control, Finneran wrote, even if we, in our ignorance, do not understand divine plans. And we Americans ought to vote carefully and to pray for our elected officials–and obey them, of course. Finneran’s message, cloaked in details of Reformed theology,was one of submission to authority–even genocidal tyrants. That fact overrides any technically correct parts of her case in my mind. I reject Finneran’s message, for, if one cannot disobey the Third Reich righteously, which regime can one oppose properly? Even the very conservative Reformed Presbyterian Church of North America understood the limits of obedience to human authority well in 1896, when the Synod passed a resolution condemning the Ottoman Empire for its massacres of Armenians and declaring that the Sultan’s regime had lost its moral right to govern. I must, in all fairness and accuracy, point out that the Presbyterian Church in America has (subsequent to 1974) approved of civil disobedience in some cases and (in 2004) approved a pastoral letter condemning racism. The Old Testament reveals the character of God mostly by recounting what God has done. God has, among other things, freed people. The central theme of the Bible is liberation to follow God. Our patterns of behavior reveal our character. Do we even try to follow God? Do we even attempt to aid those who suffer? Do we even care about the oppressed? Good intentions are positive, of course; they are preferable to bad ones. Yet we need grace to succeed. That, fortunately, is plentiful from God, who makes life itself and new life free from tyranny possible.